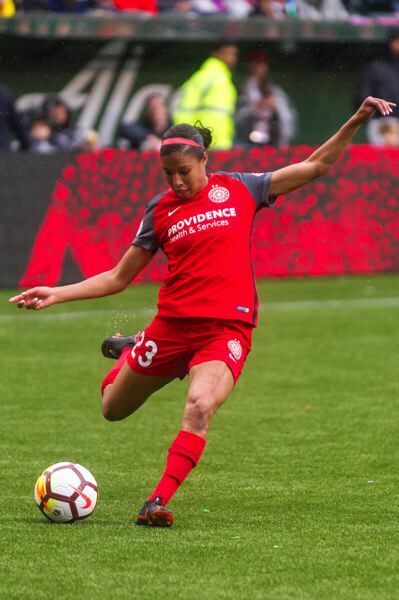 This Saturday, the Portland Thorns FC take on the Chicago Red Stars in the second game of the NWSL season. 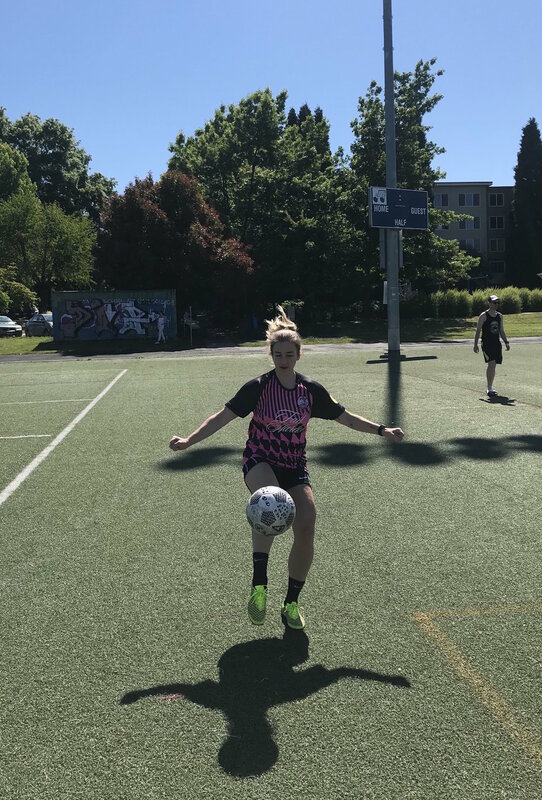 Portland’s defence gave an incredible performance against Orlando Pride in the opening game last weekend, and Tobin Heath just seems to be getting better and better. Chicago are considered one of the best attacking teams in the league, however so the Thorns will need to keep their attention on the game to get a second win. This is the second game of six on the road while Thorns home stadium Providence Park is under expansion construction. 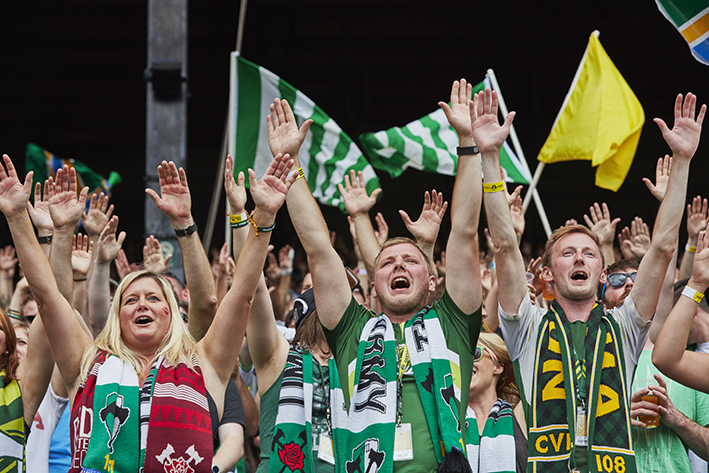 We hope you will join us to cheer on the Thorns! The Toffee Club was a sea of red jerseys for the opening Portland Thorns this weekend! 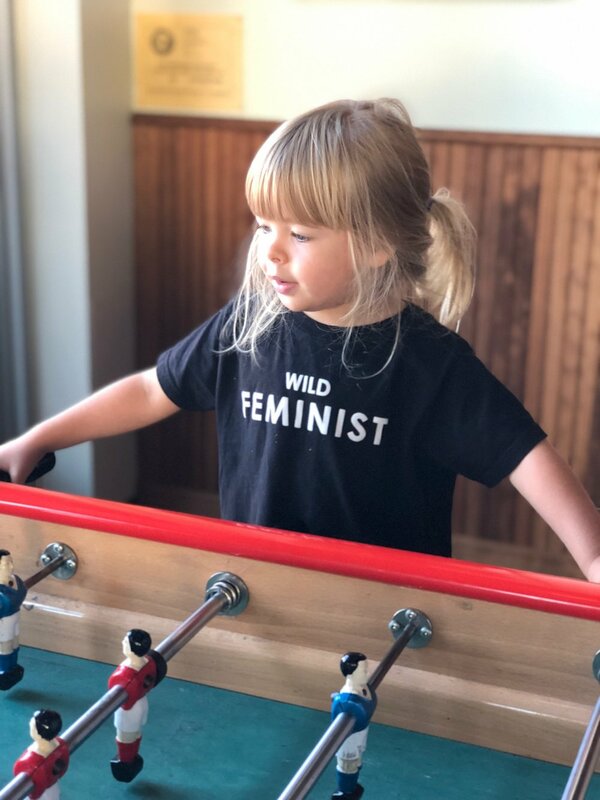 And what a celebration as the Portland Thorns won the first game of the 2019-2020 NWSL season 2-0 against Orlando Pride. 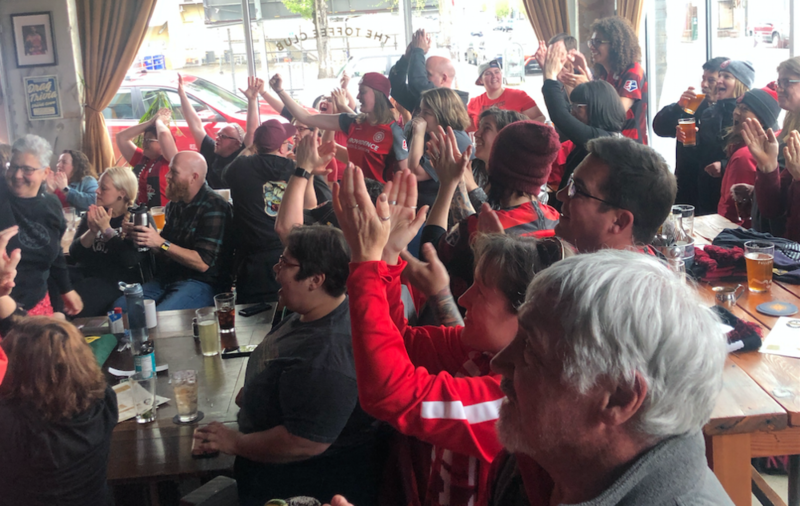 Thank you to the Rose City Riveters and all of the Portland Thorns fans for bringing such an amazing atmosphere to the Toffee Club. We’ll look forward to the next games! We speak to Sheffield Wednesday fan Mike Lauruhn in advance of this weekend’s Championship game against Leeds United. It happens to sports fans from time to time. You find yourself in the unenviable position of watching the two teams you despise compete. Sometimes you watch. Sometimes you choose to look elsewhere. Did Yankee fans watch the Mets and Red Sox in the 1986 World Series? Do Oregon fans watch the Beavers and the Huskies play football each fall? 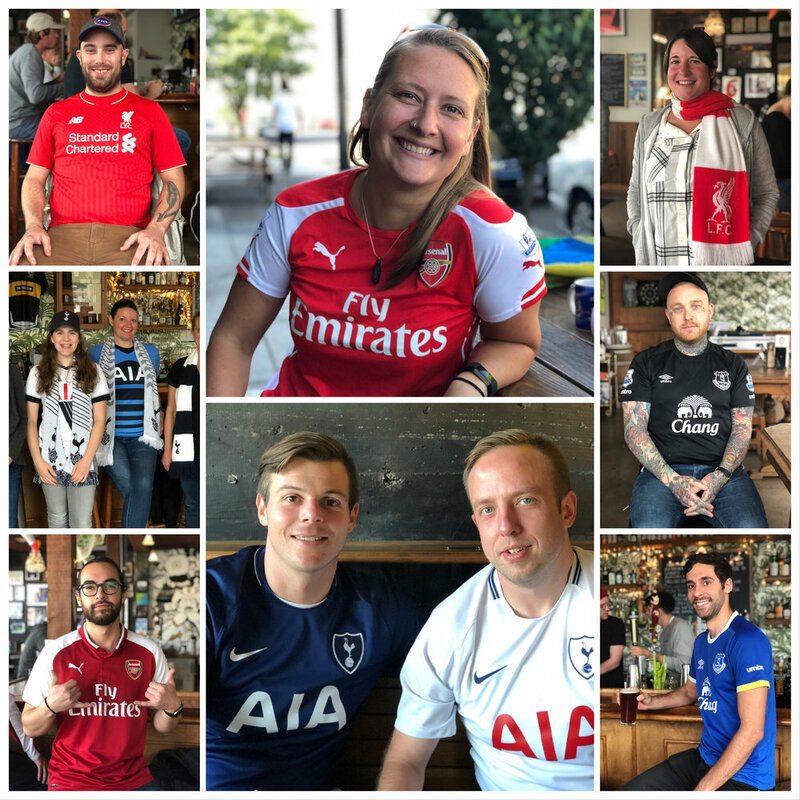 What do Arsenal supporters do when Chelsea and Tottenham get together? On the topic of rivals, Sheffield Wednesday supporters don’t have the luxury of looking the other way. Enter loathed Leeds United and despised Sheffield United at the top of the table. A few weeks back, a Portland acquaintance blogging about English Football travel posted, “Next Year’s Premier League: Yorkshire Cometh!” If it had been posted a few days later, I would have assumed it was a cruel April Fools’ Day hoax. But it wasn’t. It’s real. Norwich City will win the Championship and be off to the Premier League and -- sigh -- Leeds or Sheffield United are going to get the second automatic promotion spot. Plus -- moan -- the one that doesn’t finish second will be in the playoffs for the final promotion spot. Help. On to the final act of the 2018-2019 Sheffield Wednesday campaign. Steve Bruce has stabilized the Owls who have only lost twice since Boxing Day. They have gotten themselves tantalizingly close to playoff spots that would have seemed miraculous midway through the season. And while most supporters would have leapt at a top-ten finish last fall, they now find themselves doing math and looking at the fixtures across the league. Are we alive? Mathematically? Realistically? Is that goal differential going to bite us on the final weekend of the season? They are helped by the fact that they are in the midst of a six-game stretch against teams above them in the table. The script is set to wrap up this miracle. Then it gets complicated. How’s this for an unenviable position: Wednesday play Leeds on Saturday. A Yorkshire Derby. It’s a must-win game every season, but beating them only solidifies United’s automatic promotion chances. Lose to Leeds and the Owls’ slim playoff hopes are done and dusted -- and Leeds live on to fight. To some within Yorkshire and across England, Leeds is the team they love to hate. They always manage to stay in the news. High-profile managers, high turnover, and hopes dashed. They’ve had so many late-season collapses in recent years, there is almost an entire YouTube collection of rivals singing the taunt, “Leeds are falling apart again.” A 2018 badge redesign was met with nothing short of ridicule. And in the current season, manager Marcel Bielsa has the team looking up. The team lost only three of their first 24. All was going well until they found themselves back in the news again. In January, Frank Lampard accused the team of spying on Derby County practices. Pundits and coaches took to the airwaves to talk about sportsmanship and the English spirit of competition. The former Argentina national merely doubled down. He not only admitted to sending a spy to Derby, but, in an amazing press conference, he showed off competitive intelligence he had against several other opponents! Talk about a perfect foil. Sure, I wish Wednesday could go up, but maybe Leeds would be good for the Premier League. In the same way Wolves are a welcome addition, this Leeds could spoil the party for some of the Premier League stalwarts… but that’s to think about next season. Until then, we have a match to watch on Saturday. And if Wednesday can get the opening goal, you might hear a chorus echoing across the League. And if you don’t know the words, just check YouTube. Join us this Saturday, April 13th for some proper football and see whether Sheffield Wednesday get that opening goal! We’re counting down the days until the Portland Thorns return to our screens. Join us as we kick off the season this month!